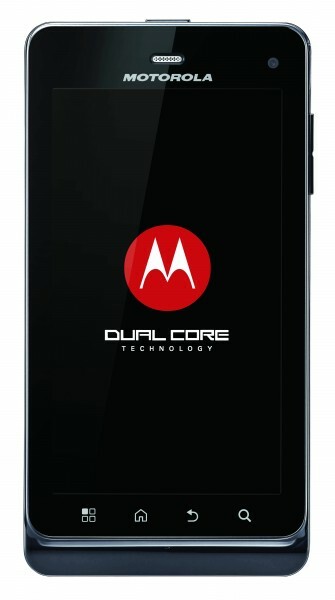 I’m not exactly sure where rumors of the DROID3 having a Tegra 2 started, but we’ve known for quite some time now that it’ll sport an OMAP 4430 dual-core processor. 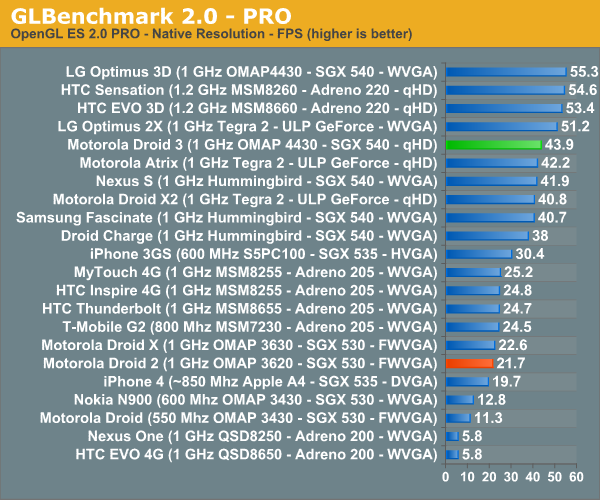 So today’s discovery by the folks at AnandTech through a GLBenchmark that just went live, isn’t all that new, except for the actual benchmark score part. This is looking to be a much more powerful device than I think we had originally thought. 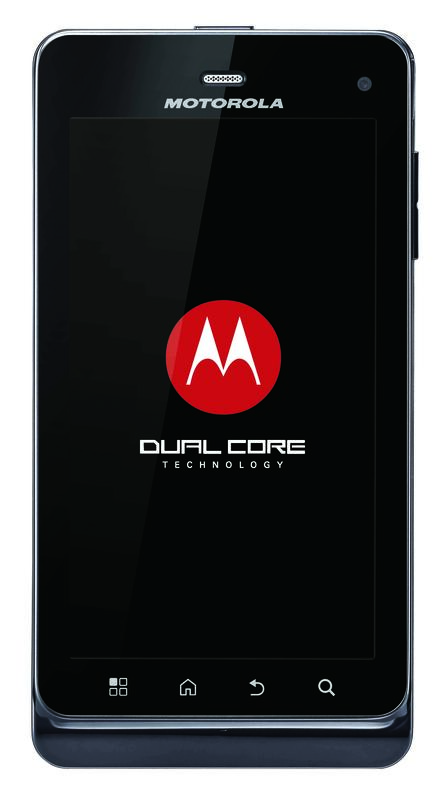 In fact, after reading the review of the Milestone3 from last week, we weren’t sure it could even compete with some single core devices – boy was that review wrong. As you can see in the “Egypt” bench below, the DROID3 and it’s qHD screen come in only behind the LG Optimus 3D which happens to be running the same processor, but with a lower screen resolution. 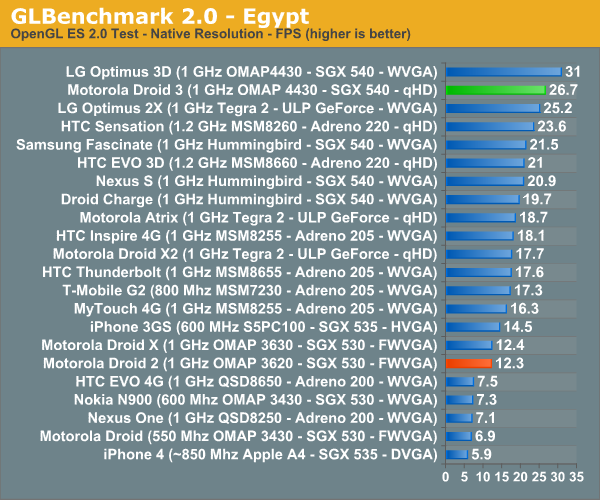 That’s right, the D3 outperformed the Optimus 2X (G2x in the states), HTC Sensation and the HTC EVO 3D. In the “Pro” bench it came in slightly behind a couple of those previously mentioned devices, but still performed above devices like the Motorola Atrix and DROIDX2. Impressive, to say the least. And we should note that we’re starting to doubt that original July 7 release date that we heard last week a little – and only because we now know that the 7th marks the day we see data tiers. It’s definitely just around the corner though, which we learned from the MAP (minimum advertised price) status that it received over the weekend. What do you guys think? Maybe we shouldn’t be sleeping on this device even if it lacks 4G LTE?